This workshop will be held at Sweetwater Creek Farm Studio in Clinton, on the south end of Whidbey Island, WA, 10 minutes from the Mukilteo/Clinton Ferry. 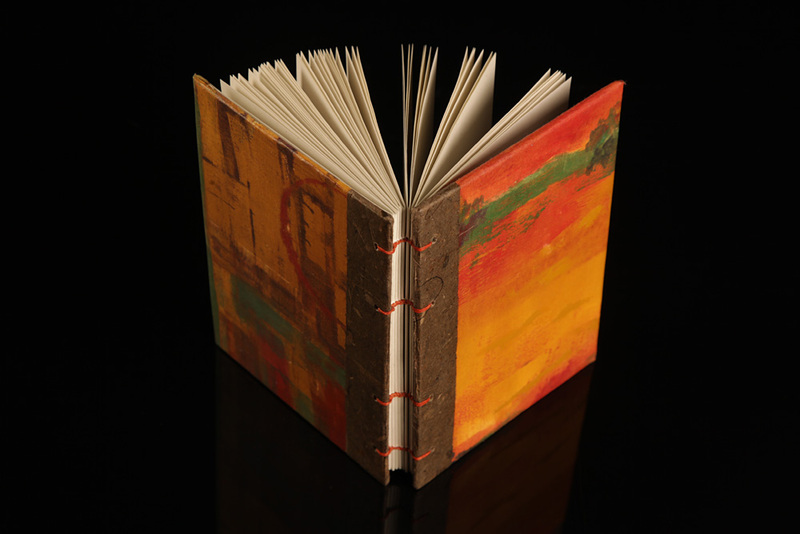 In this workshop you will learn the basics of book binding. 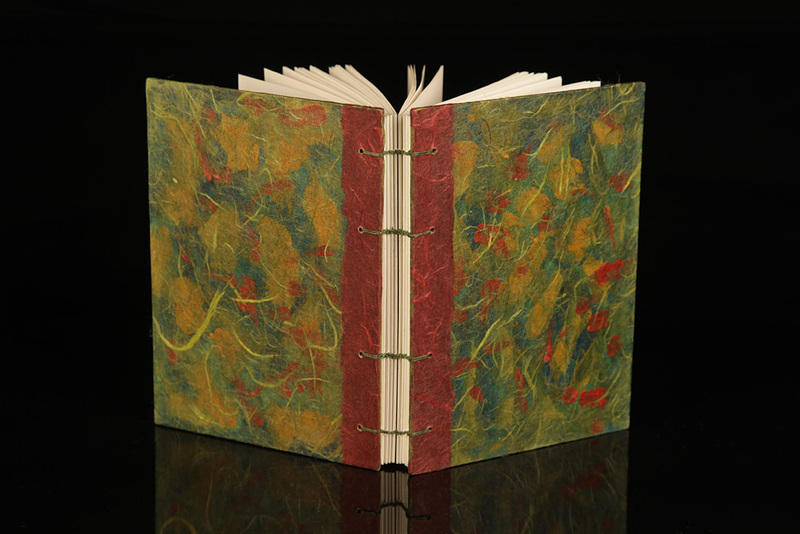 Sandy Whiting and Susanne Newbold will be teaching the “coptic and kettle stitch” and students will create book covers using handmade papers, collage materials, and various printmaking techniques. The books are made with 100% acid free paper suitable for pen and ink, pencil and watercolor. Perfect for writers and artists. This workshop is limited to seven students. With two instructors, there is plenty of individual instruction. The cost is $85. plus a $25. materials fee. Every student will leave with a completed book.